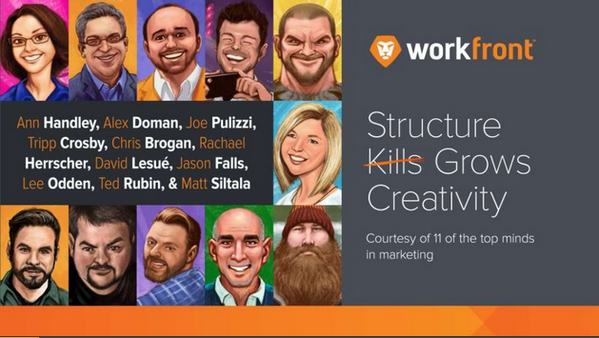 Can Structure and Creativity Coexist? Innovation surrounds us, and we can each be engaged in creative expression within organizations, bolstered by rather than being crushed by structure and systems. Being given the freedom to ideate, try new ideas, and fail within a safe and flexible system fosters an environment built for innovation. People will unleash their creativity when empowered to do so. Can structure and creativity coexist? Workfront asked me and 10 marketing thought leaders this question. See what I say… Can Structure and Creativity Coexist? And, check out Chris Brogan, Rachel Herrscher, Ted Rubin and the others thoughts on this on Slideshare.